FAMILY DEFENSE CONSULTING IS DIANE L. REDLEAF'S PRIVATE LEGAL CONSULTING FIRM. SHE TAKES ON PROJECTS OF SPECIAL INTEREST AND ADVISES PROFESSIONALS ON COMPLEX CHILD WELFARE CASES. SHE IS ALSO AVAILABLE TO SPEAK, SERVE AS AN EXPERT WITNESS OR REVIEW BRIEFS AND LEGAL PLEADINGS. Through Family Defense Consulting, Diane Redleaf works on behalf of families, consults with other leading trial and appellate lawyers, and does expert witness work and public speaking. Diane is part of several networks of attorneys with deep experience in child protection law, family law, constitutional law, civil rights law and criminal law. 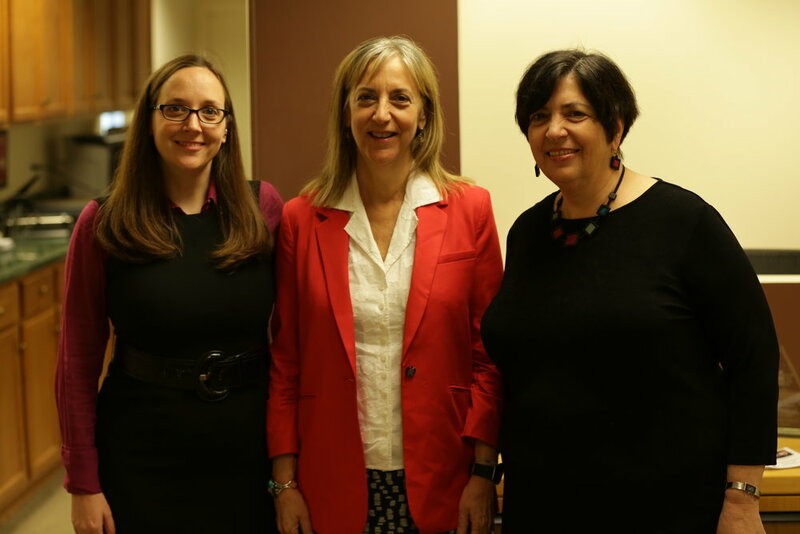 (Pictured here with Legal Assistance Foundation Supervisory Attorney Melissa Staas (left)(who worked with Diane for 10 years at the Family Defense Center) and outstanding criminal/juvenile defense attorney Ellen Domph (middle). Both of these fine attorneys were involved in cases discussed in Diane's book). Diane L. Redleaf's fees for service include flat fees and hourly fee options.